Recently, the Federal Department of Health and Human Services (HHS) announced the creation of the “Administration for Community Living.” A press release from the HHS, dated April 16, 2012, explains that the new organization will combine the Administration on Aging, the Administration on Developmental Disabilities and the Office on Disability to hopefully provide more coordinated access to independent living mechanisms for special needs groups including seniors, individuals with developmental disabilities, and children with special needs. According to statements from the HHS, the Administration for Community Living will “work on increasing access to community supports and achieving full participation in the community for people with disabilities and seniors.” Ideally, the new organization will reduce the overlap of efforts by the previous agencies and provide additional access to in-home, community-based care for seniors and individuals with disabilities, thus reducing the amount of money paid for individuals to reside in nursing homes or other residential care facilities. With an increasing number of seniors expressing a desire to age in place, entities like the Administration for Community Living will provide additional support for the elderly to stay at home as long as possible. Technologies like home care software, or home care systems, can also help facilitate aging in place by increasing communication between care teams, and allowing families to oversee care from afar. For example, robust home care software or home care systems, like Clearcare, allow an agency providing in-home care for seniors can track caregiver shifts, client condition and monitor senior activity. This information can then be accessed securely by family members, and home care managers to ensure that seniors’ needs are being met. 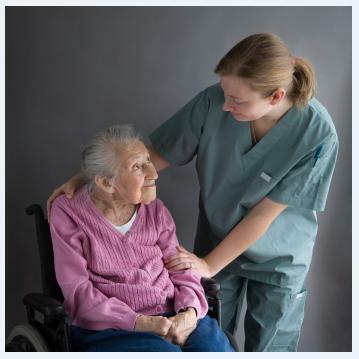 Home care software and home care systems can even help facilitate grant-funded programs for in-home services, by providing a reliable tracking method for caregiver hours and task tracking. By increasing access to in-home services, the power of agencies like the Administration for Community Living, and technologies like home care software and home care systems not only grant independence to seniors, but they also will provide significant cost savings to tax payers as less is spent on nursing home care and hospitalizations. With thousands of Baby Boomers turning 65 everyday, elder care is an issue that continues to rank of high importance for our nation. And, with more coordinated government efforts, skilled providers and robust home care software and home care systems, America will be more prepared to meet the needs of our elders.